This is a short, high-level overview of hybrid peer-to-peer networks that expands on the ideas introduced in the post Technologies for Democratizing Power. 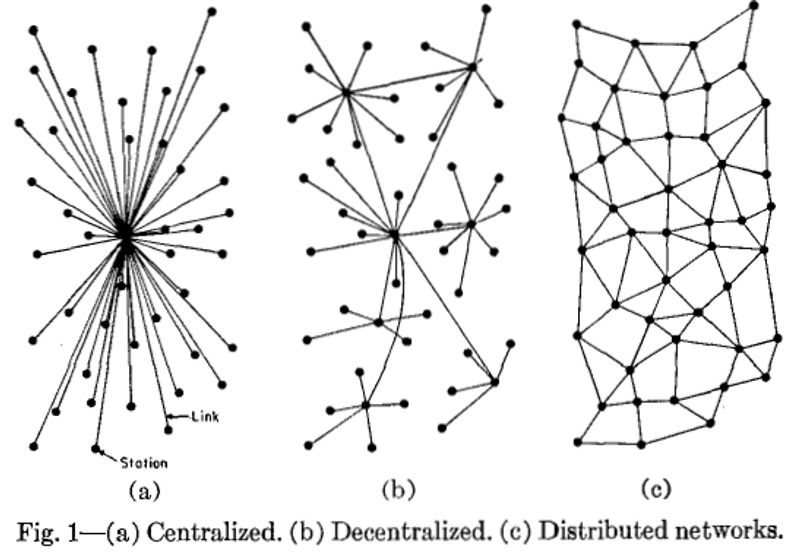 Centralized and distributed networks are often pitted against one another as the antithesis of each other. But cutting-edge network technology is showing that the best of both networks can be harnessed into a hybrid network. The faulty assumption when discussing distributed networks is that all nodes are created equal, when in fact, they function best when redundant but specialized nodes are evenly distributed throughout the network. 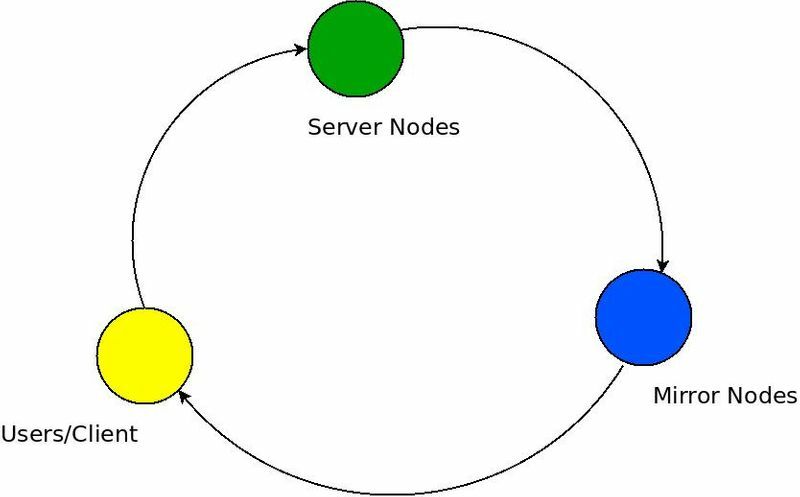 Server nodes pay Mirror nodes to publish their tor .onion address into a P2P database such as OrbitDB. Mirror nodes publish and distribute the P2P database, and optionally provide network access between the clearnet and the darkweb using tor2web. 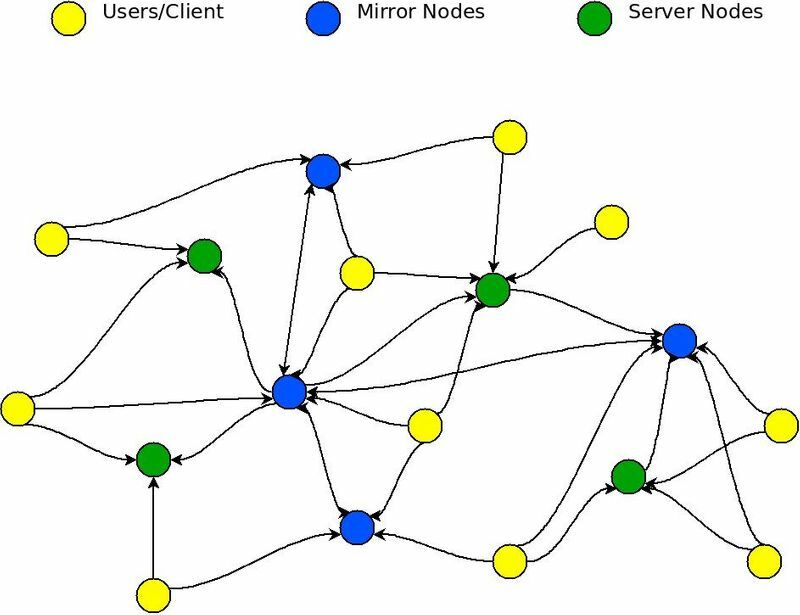 Client nodes retrieve a list of active Server nodes from the Mirror nodes, then pay the Server nodes for their services. By dividing up network functions and aligning incentives, the best features of centralized and distributed networks can be achieved, while mitigating the downsides of each. The roles described here are a powerful combination to achieve censorship resistance while preserving the low-friction user experience of centralized networks.